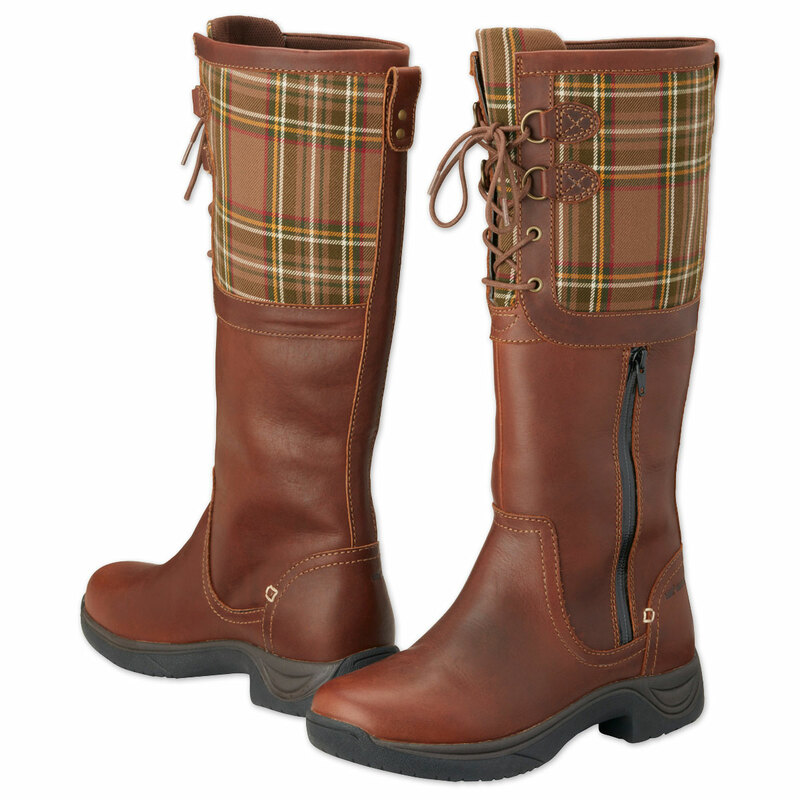 The Dublin Thames boot is made with a stylish full grain leather upper with a plaid insert. Dublin's foot bed system with heel and arch support offers a double cushioning layer for all-day comfort. 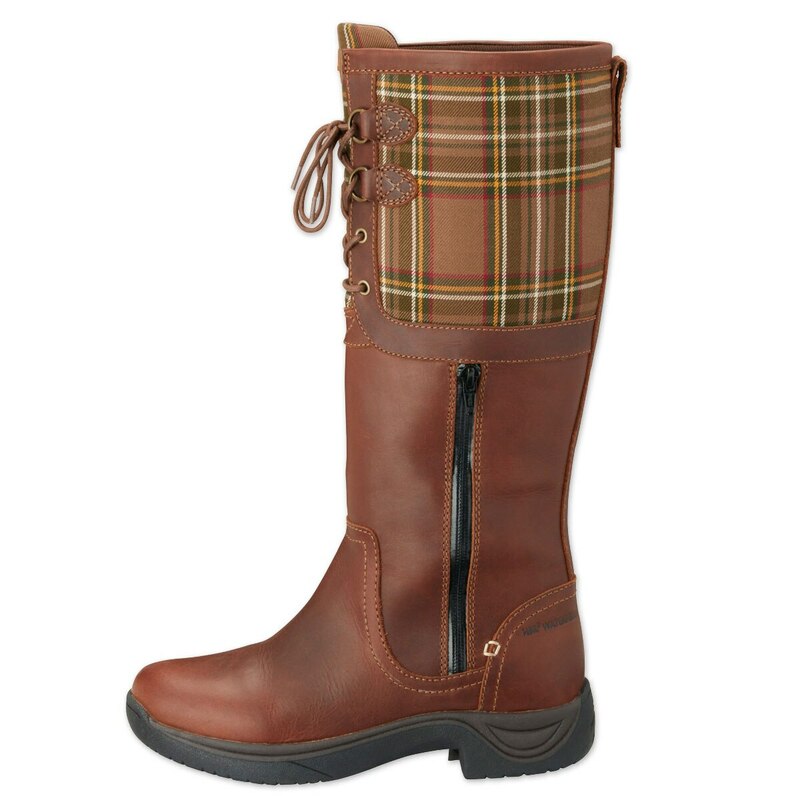 Material: Full grain leather upper with a plaid insert. 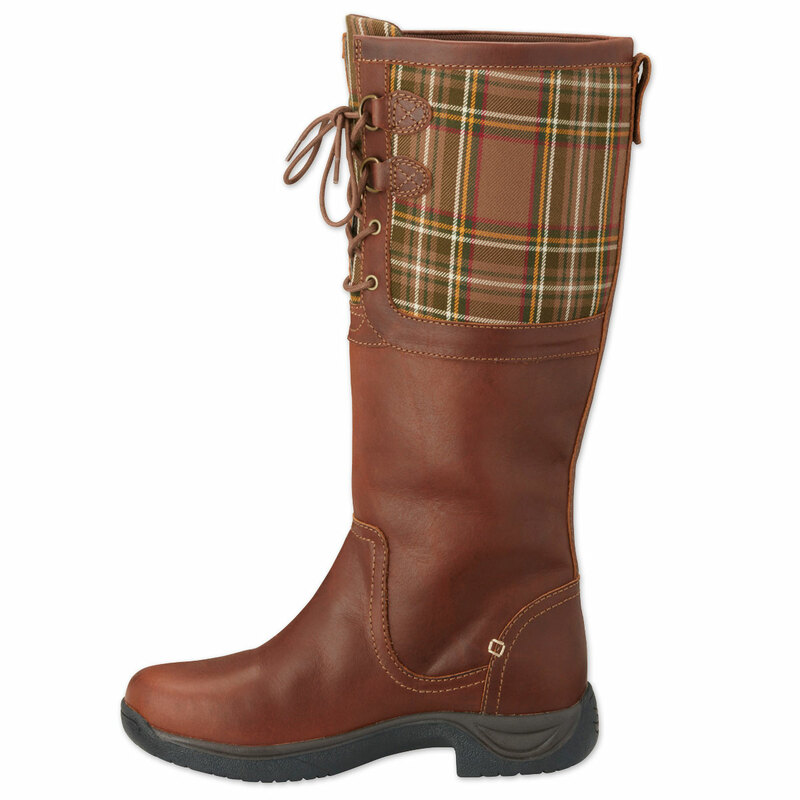 Material Full grain leather upper with a plaid insert. 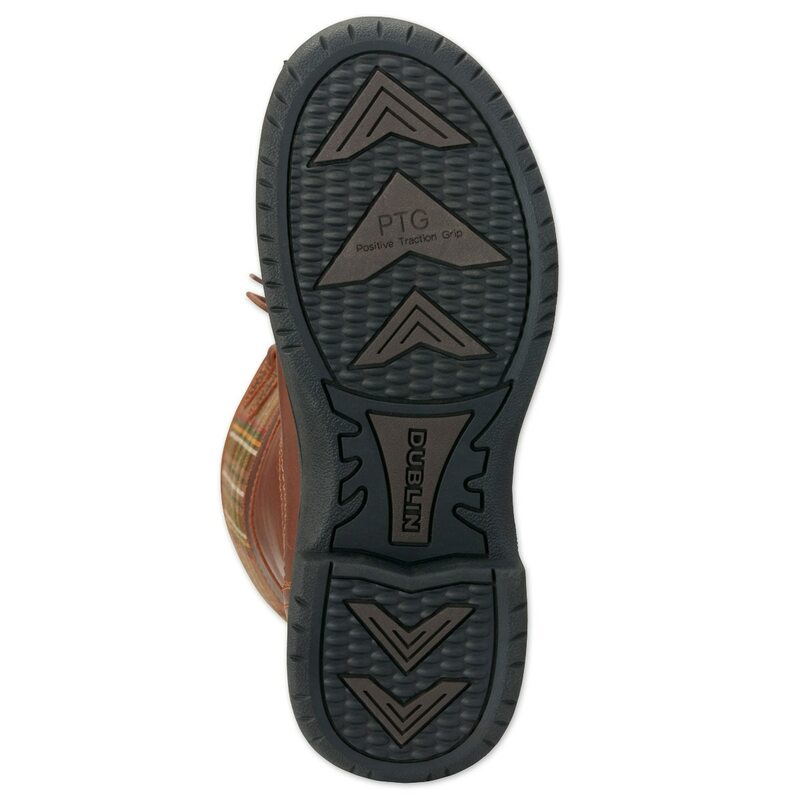 Special Features Waterproof and breathable membrane keeps your feet comfortable and dry, breathable lining. Dublin Thames Boot is rated 3.3 out of 5 by 4. 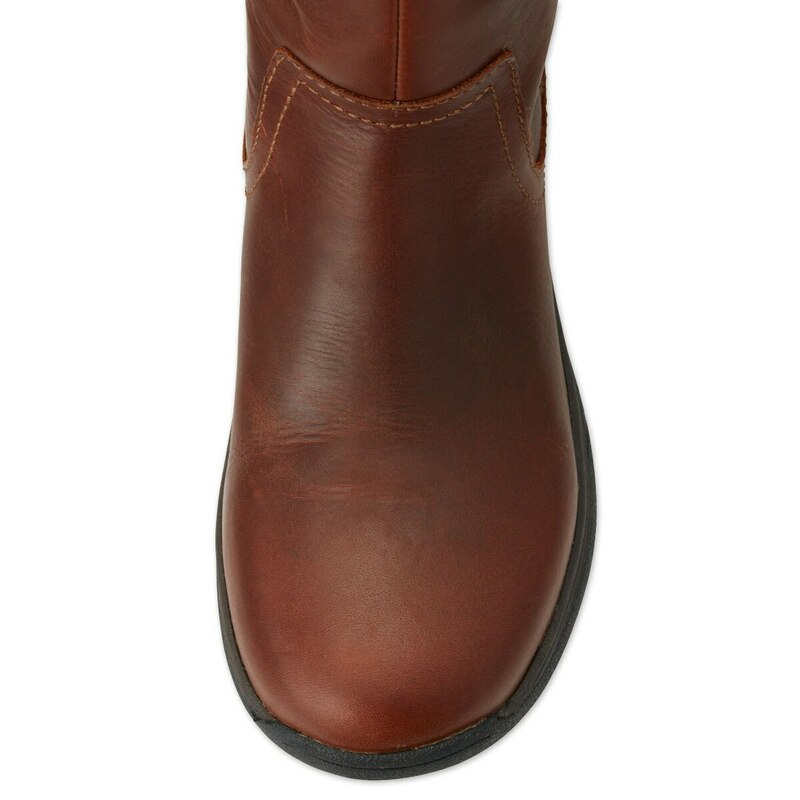 Rated 4 out of 5 by rfpluim from durable I've had these boots for over a year now and the leather is in great shape and they clean up well, even through a very wet winter, spring, and oddly enough a very wet VA summer. However, I will agree that these boots do take some time to break in, and you want to make sure that they fit PERFECTLY before keeping them, but trust me, if you get the ones that fit right, they are worth every penny. Rated 1 out of 5 by eggless from Baggy Ankles - Unwearable I got these for Christmas. 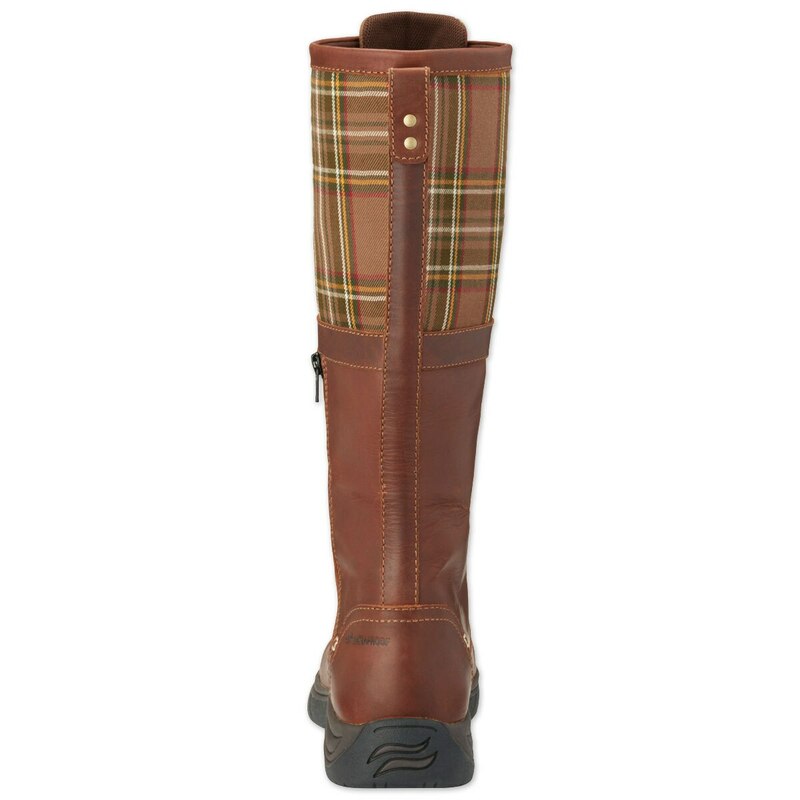 I was really excited because they're really cute, the leather is high quality, and they seemed like they'd be good for spending the day at the barn. Unfortunately, despite the toe fitting perfectly, these were so baggy around my ankles that they're entirely unwearable. Once worn in, these would probably bunch up and sag around the ankles. Unless you have massive cankles, these are entirely unwearable. Rated 3 out of 5 by Rfpluim from Pretty but painful I've had these months for about a month now and I'm still trying to break in the leather so they don't leave my feet so sore and with ribs (especially where the zipper is which rubs my ankle). Hoping they will get better the more I wear them but so far all they are is pretty. Rated 5 out of 5 by Mustang from Very Comfortable and Cute! When UPS delivered these boots to me in the morning- I immediatley put them on and wore them all day. They fit great and were so comfortable!